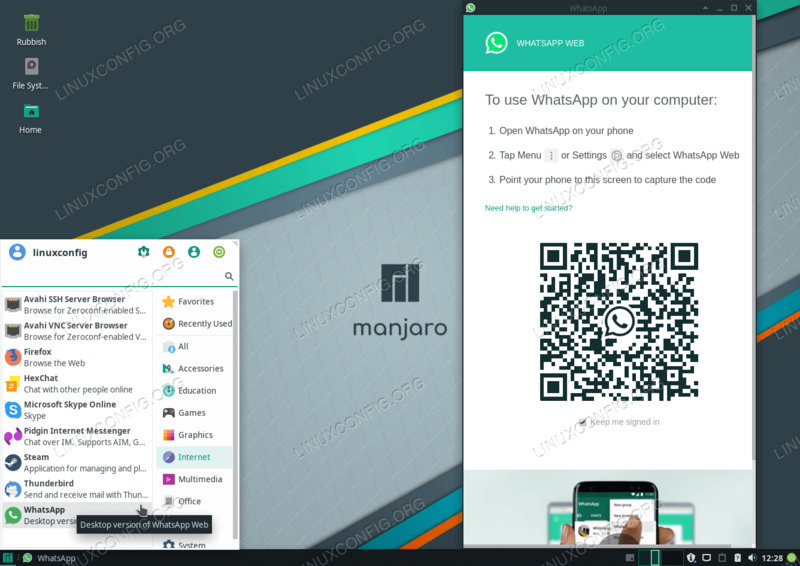 In the following tutorial we will perform installation of a WhatsApp, online communication application on Manjaro 18 Linux from Arch User Repository using command line tools makepkg and pacman . WhatsApp is a telecommunications application to provide video,chat and voice communication between computers, tablets, mobile devices over the Internet connection. How to clone the latest WhatsApp AUR repository. Install prerequisites. Follow our How to install nodejs-nativefier on Manjaro 18 Linux guide before moving to Step 2.